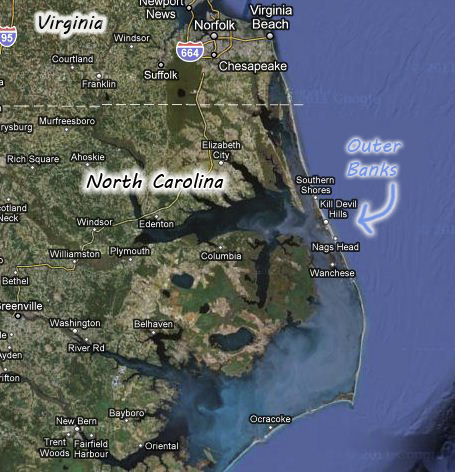 For our summer vacation, we spent a week in South Nags Head, NC - also known as The Outer Banks! This is our 3rd year there and we do plan to go back yearly as a tradition. 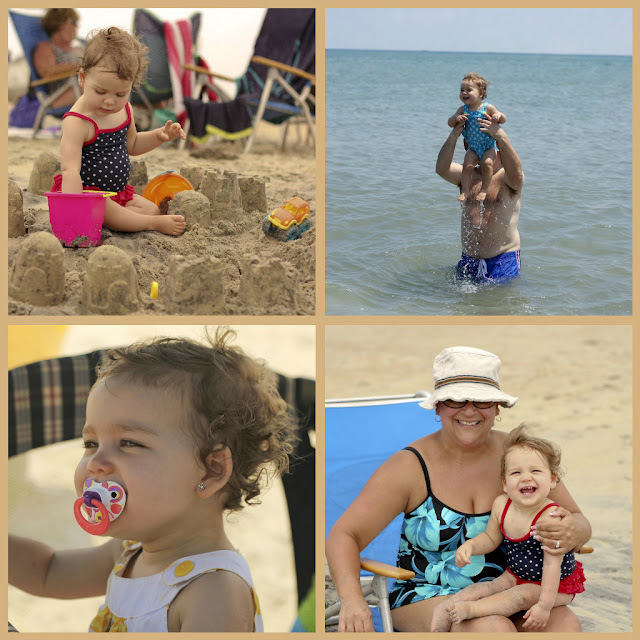 This was a special year since it was Julianna's first beach vacation. 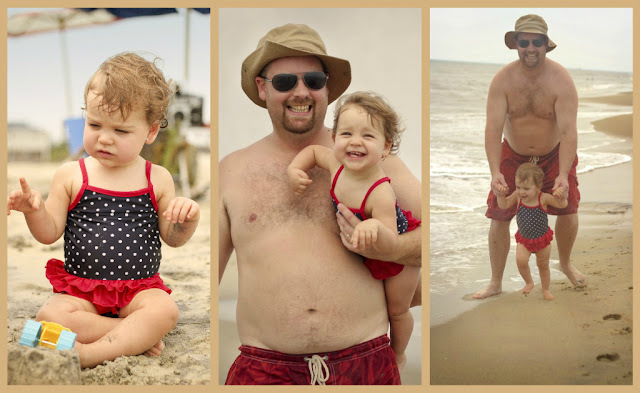 She truly loved the beach - liked walking in the wet sand, liked when Daddy brought her in the ocean, and liked playing with her sand toys! She also figured out how to climb into the sand chair and sit down to play with her toys. She did not like to get all sandy, and so her solution was to sit on the sand chair and play with toys. She loved the buckets of water we set up for her to 'wash' the sand off her hands off with. Perfect. LOL. Such a girl! On vacation, I took about 2000 pictures. A little less than I thought I would be taking. I used my 50mm lens the whole time we were there. I really wanted to get used to using it. I now realize after looking at all my shots that many of my pictures had WAY too much exposure and some were very "bright" like an atomic explosion. I guess opening up the aperture all the way and thinking the shots were coming out OK when I reviewed them on the LCD screen was a bad idea - haha! 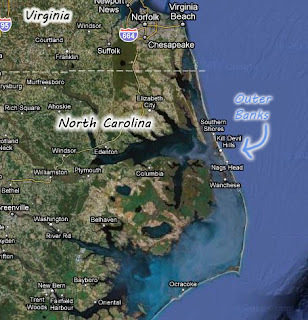 We also had a few overcast &amp;amp; grayish days- hard to get nice color in that lighting no matter what! 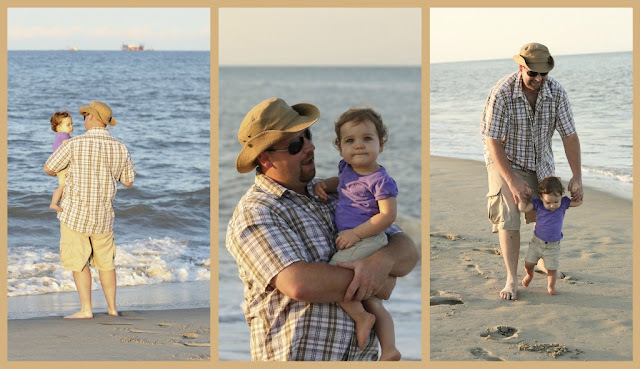 Julianna's first time on the beach - She loved it! OK that's it for Part One. I'm not sure I dig the Picnik website for doing collages. You can only upload 5 pics at a time - not so easy if you are trying to make more than one collage at a time. If you buy the premium package, you can do a lot more. Quite frankly, I am sick of buying buying buying lately. I want something good for free dammit! Oh well - I will check out the other site I normally use for making my part two post of the beach vacation! first of all, i am loving the pictures but i know exactly what you mean about the 50mm lens. i love it, but it's not great for EVERYthing....i wish it was cuz i love it but....this is all part of the learning process, right? Rachel - Yes it sure is a learning process to say teh least! :) I might switch back to my regular kit lens for a bit to change things up. I use another site called fotoflexor - you don't even need to sign up for anything to use it- but you can not upload multiple pics at once. I guess I'll keep looking LOL. I Know there is a way in Photoshop to create collages but you have to use clipping masks which I can not figure out... one day I will LOL. She looks like had a total blast. So sweet. 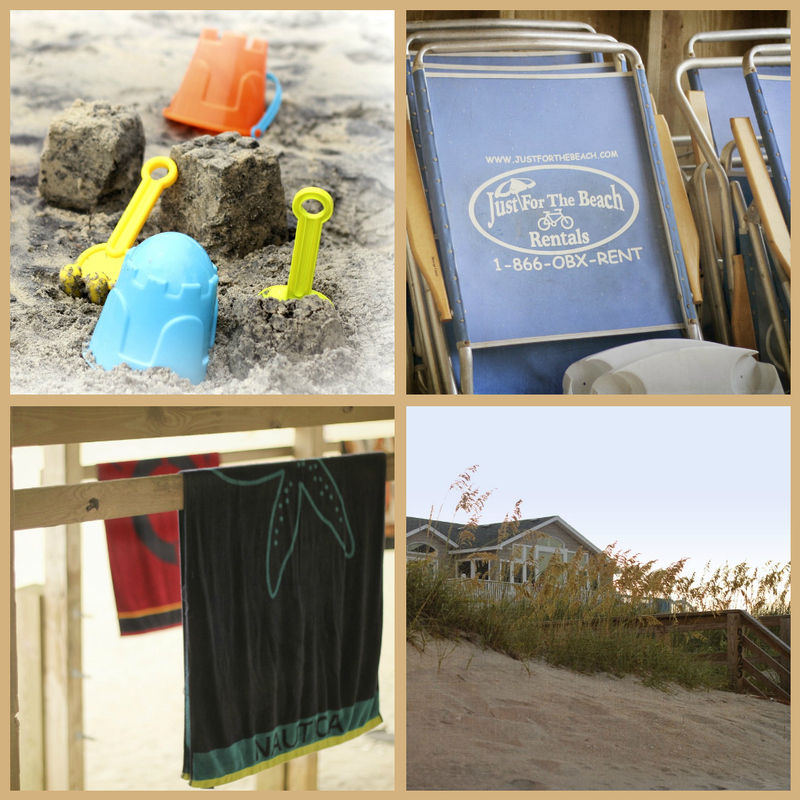 Beach vacations are so much fun!! Looks like you guys had a great time! Julianna's hair is getting long! She is such a cutie! Yvette Nana - thanks we had a decent time. Thanks for the award- I will check it out soon!